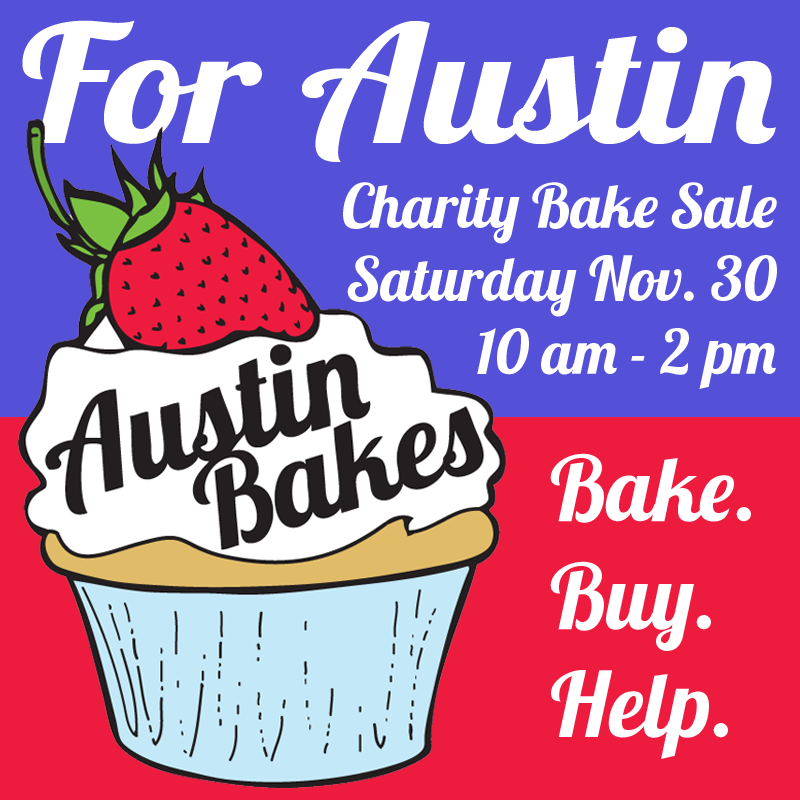 The bake sale will be taking place on Saturday, November 30, from 10 am to 2 pm at multiple locations across Austin. We’ll be announcing specific locations soon. As always, we’ll need help from local Austinites to make this happen. If you’d like to contribute some baked goods for the sale, or volunteer to help out at a bake sale location, please sign up here. Tweet us with #AustinBakes to help us recruit bakers, buyers and volunteers. Share our link on Facebook, or like our Facebook page. Write a blog post about Austin Bakes. Tell your friends, family, and co-workers about the sale. Share this graphic on your blog posts and social media networks. Be sure to link it back to www.AustinBakes.com! Visit our fundraising page on FirstGiving to make a donation to Austin Disaster Relief Network. Thanks for your support! We’ll see you on Saturday, November 30! This entry was posted in Austin Bakes for Austin, Blog, News about the sale, Past Sales and tagged Austin Bakes, Austin Disaster Relief Network, Austin Texas Bake Sale by Mary Helen Leonard. Bookmark the permalink. so happy to hear that we are pooling our efforts for our folks at home!